181 Cuttawa Lane - Andersonville, TN 37705 — LOCATION, LOCATION, LOCATION - Enjoy privacy and seclusion on this beautiful waterfront lot that is nestled on 1.07 acres. This fabulous lake house is located at Pellissippi Point on Norris Lake and sits on the opposite end of Anderson County Park. Beautiful lake house on Norris Lake in Andersonville, TN. Enjoy brick and stone basement rancher offering 5 bedrooms, 4 baths and 7,438 sq ft of living space. Also includes 3 car garage with stone paved driveway. Amenities for this lakefront home include 12" fir post and beams throughout, see thru stone fireplace, Pella Windows, cathedral ceilings with arched wooden beams, custom entry door, ceiling fans, antique brass style fixtures, wide open patio windows, wood flooring, recessed lighting, kitchen and dining room chandeliers, all white tall cabinets, Granite counter-tops, center island with stone and Granite breakfast bar, Thermador appliances - 3 door refrigerator, gas range top, oven, microwave, Miele coffee machine, tile flooring, outdoor patio with stone fireplace, master bedroom main level, trey ceilings, separate his/her vanity sinks with bowls, whirlpool tub, custom tile walk-in shower, walk-in closets with storage and cabinets, sauna room, great room with 12 ft high and 20 ft wide sliding door, home theater room with projection screen and surround sound, stacked stone walls in basement, office, large walk around patio decking, outdoor kitchen with gas grill, landscaping, dual slip boat dock with swim platform and more. NEW 1800 sq ft dual boat dock with swim platform. One of the nicest on Norris Lake! Call today and schedule a home tour of this lake home on Norris Lake. Detailed craftsman ship at 181 Cuttawa Lane at Pellissippi Point on Norris Lake in Andersonville, TN! Gorgeous 3 car garage with beautiful stone driveway. Offers pleny of space for friends and family. Living room with hard wood flooring and see thru stone fireplace. Cathedral ceilings with wood beams and wide open views of the lake and mountains. 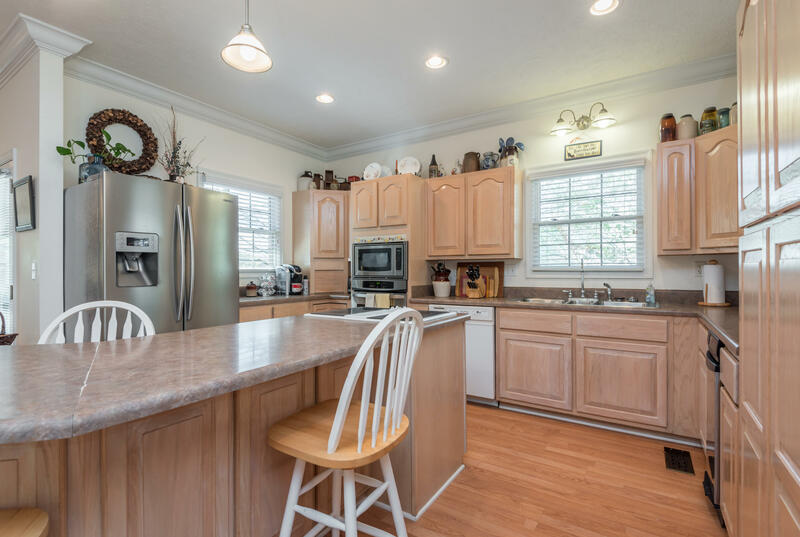 Kitchen with all white cabinets, Granite counter-tops, center island and stone breakfast bar. Thermador appliances including gas stove and range with tile backsplash and pot filler faucet. Stainless Steel microwave and Thermador oven with drawer warmer. New 1800 sq ft dual boat dock with swim platform. One of the nicest on Norris Lake. 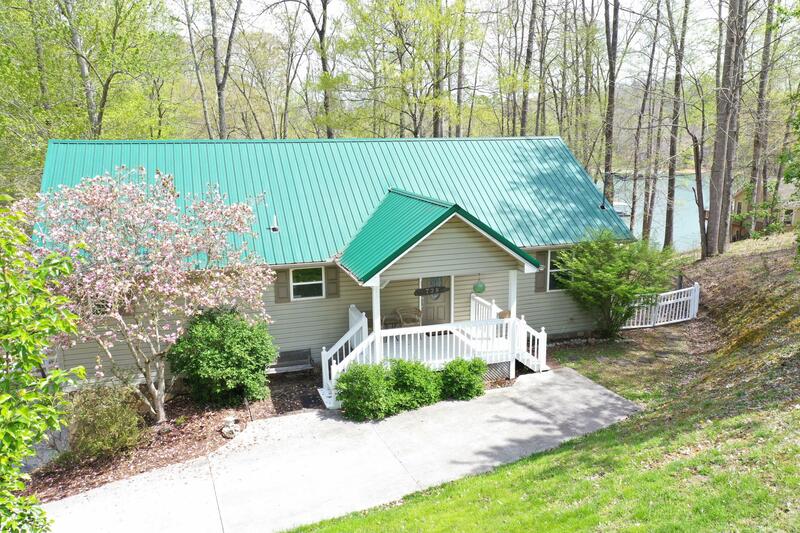 Rear aerial view of lake home on 1.07 acres offering privacy and seclusion on Norris Lake. This lake home at Pellissippi Point on Norris Lake offers privacy and seclusion with unbelievable views! 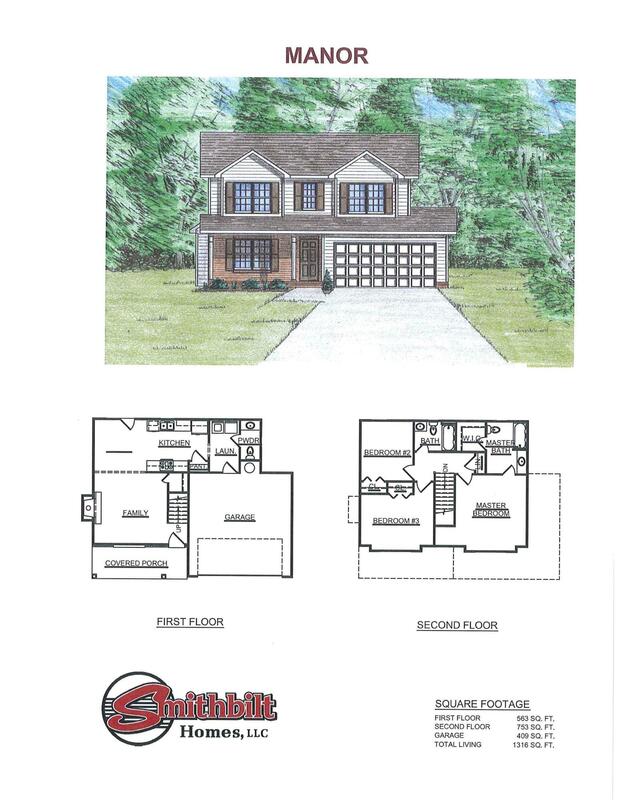 If you are interested in lake homes for sale similar to this be sure to call today at (800) 485-1290 for personal tours of lake homes and lake property for sale on Norris Lake! 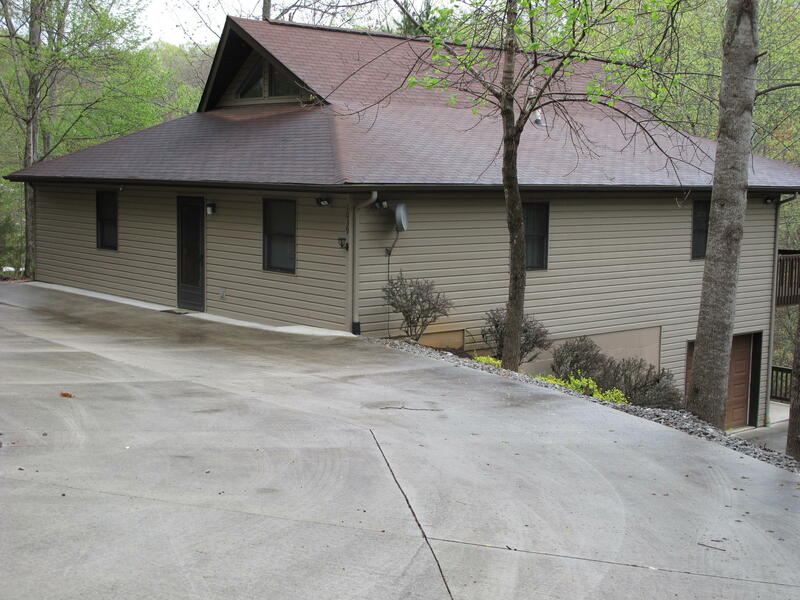 Be sure to check out other available lake homes on Norris Lake! Interested in building vs buying a home? Already have a lot? 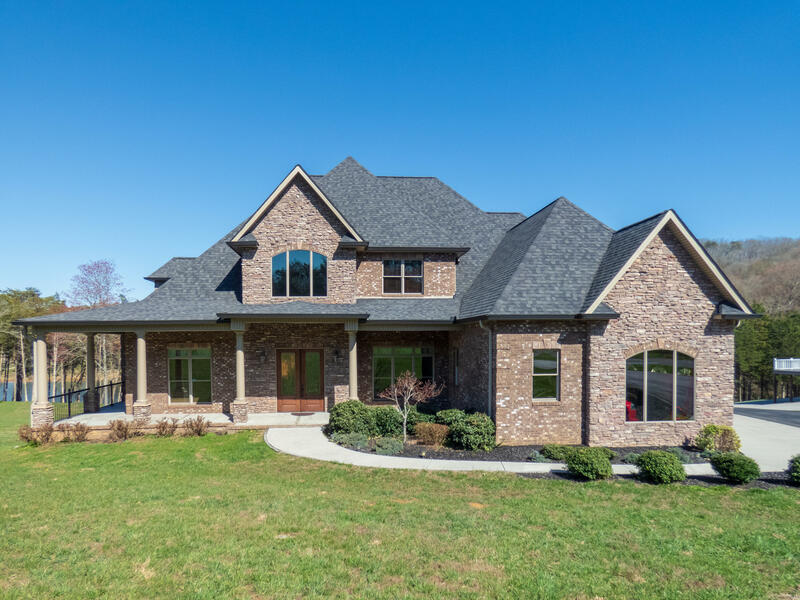 Hire a lake home builder on Norris Lake that can build you the dream home you've always wanted!